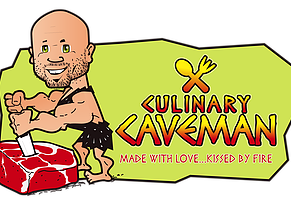 Culinary Caveman - Get Involved. Make Friends. Enjoy Motherhood. We deliver and drop off prepared fresh meals in family style containers and also do catering and individual meal prep. We are paleo-centric, gluten free, refined sugar free, mostly organic good-vibes food. We have two delivery days with 5 totally new entrees and 15 salad options each week to ensure the foods arrive fresh. We can work with most diet plans (strict Paleo, Whole 30, FODMAP etc) and offer many varieties of proteins, sauces, breakfast and snack options. Just remember it is ALL gluten free and refined sugar free. Made with love…kissed by fire.